Ditch Your Inbox and Embrace a Smart CRM system! Stop juggling between your email inbox and the small business CRM. Unify your communication channels by going with ClinchPad and make your sales operations less cumbersome. Why waste time with clunky sales tracking software when you can get the entire sales communication onboard a friendly CRM system? 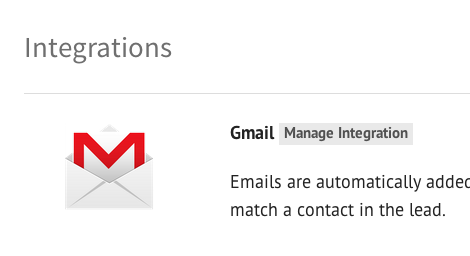 Integrate your Gmail mailbox to our CRM system in just a few clicks. If the recipient or sender of emails match a contact associated with a lead, those mails will automatically be attached to the lead. This includes any and all attachments. 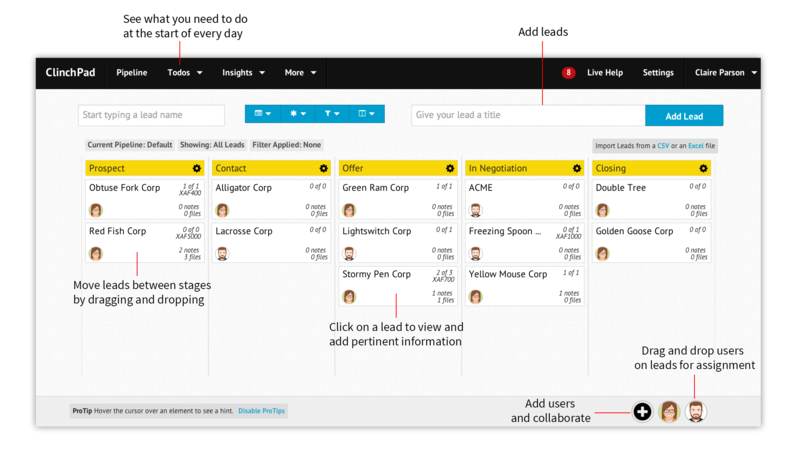 So, you can now rest easy knowing that we take care all your conversations across all sales pipeline stages! 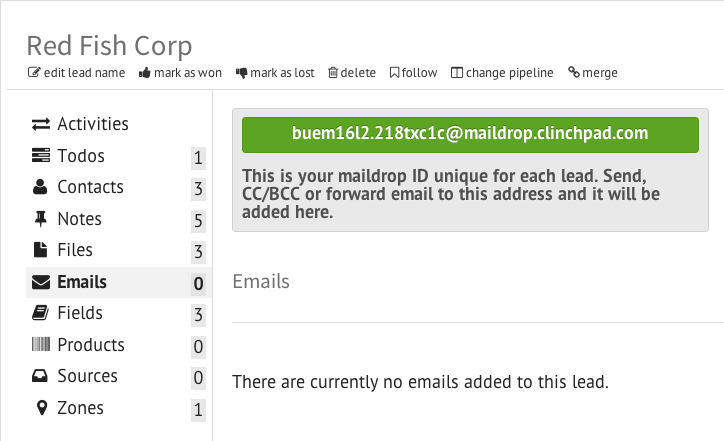 A maildrop is an email address associated with a lead. Just forward or CC an email address and the email will be attached to the respective lead. Our sales CRM ensures that all attachments are associated with the respective leads as well. It’s the easiest way to keep your sales cycle going without worrying about losing a contact address ever!